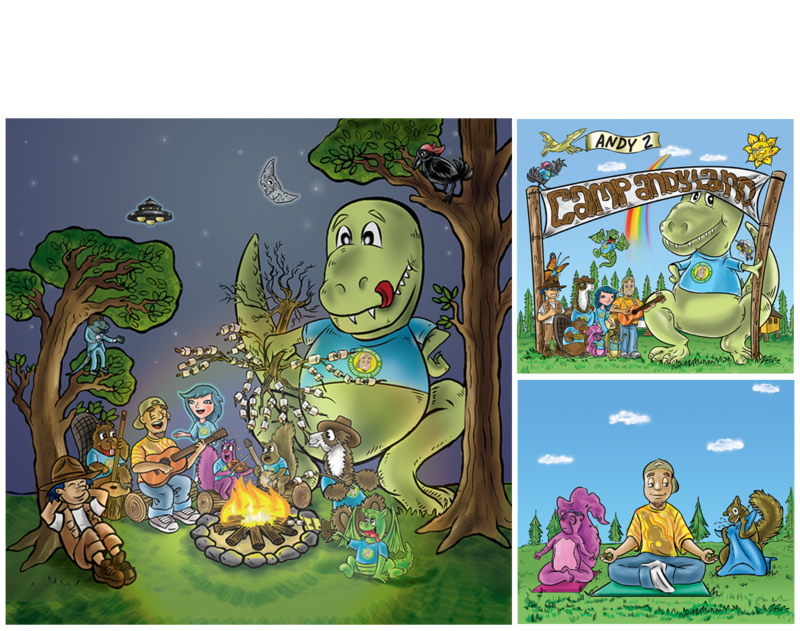 A2Z Productions is the home of multi-award-winning children's musician Andy Z. Andy's musical adventures star a cast of original characters inhabiting the imaginary world of Andyland. I've worked for Andy for nearly 10 years, providing creative and production support for his web, marketing and product presence. 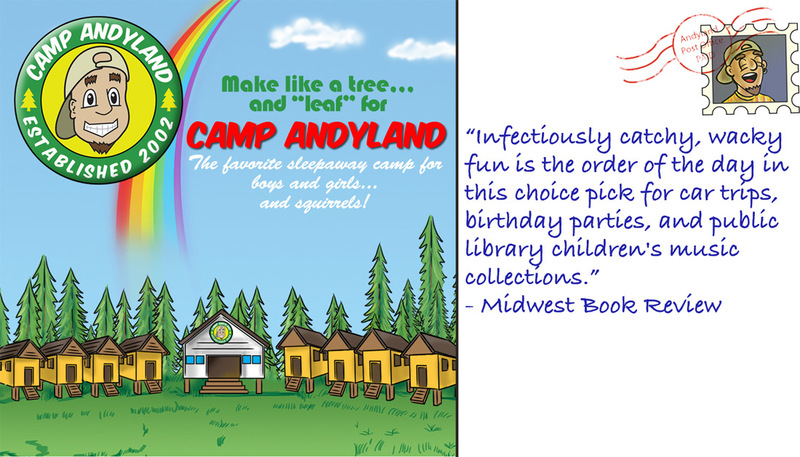 I've recently also added my own spin to Andy's characters as the illustrator of his most recent album, Camp Andyland.